 Careers | ONRAD - ONRAD, Inc.
ONRAD is always looking for the best talent the radiology and healthcare industries have to offer. Please view our open positions below. If you’ve found yourself on this page, it’s likely that you’re already very familiar with ONRAD’s culture and our mission. We are a team of dedicated professionals, working tirelessly to provide the best radiology services on the market – and that requires a team of top talent. If you’re interested in joining the ONRAD team to help us change the future of radiology, please view our open positions below to see if you might be a fit for our team. If you don’t see a position listed that you think you’d be a good fit for, but you want to introduce yourself for any other future opportunities, please fill out the form below. We look forward to hearing from you! If you are interested in applying for a posted position with ONRAD, please send an email to careers@onradinc.com, reference the position you are interested in and provide a resume and cover letter.